Although allergy sufferers get relief from outdoor allergens during the wintertime, they can still receive sinus symptoms, similar to that of the common cold, with the addition of pain and pressure in the face and head. Typically those that suffer from sinus symptoms also suffer from outdoor allergens. Sinus pressure and other symptoms can occur in the winter due to the cold, dry air. Also, changes in Barometric pressure, a measure of the pressure in the atmospheric air, can create sinus symptoms. If the weather is constantly changing, it can take a toll on a person with sinus problems. Sinus symptoms typically consist of sinus headaches—pressure and pain in the forehead, nose, and cheekbones—but can also produce a sinus infection of which symptoms are post-nasal drip, sore throat, slight fever, weakness, fatigue, and sometimes a cough. Sinus symptoms can be relieved with the help of medications, or by keeping a warm, damp compress on affected areas. Vaporizers or aspirators can also be used to clear congestions of the nose and relieve sinus pressure. Allergy Asthma Technology’s Sinus Care products effectively relieve sinus symptoms that may occur during the winter season. The Moist Heat Compress works to relieve sinus pressure and pain in the face and forehead by conforming to the face for easy and comfortable relaxation. The object is microwavable and can be used for other purposes, such as muscle pain and tension. Another sinus relief product is the SinuPulse Elite that works as a pulsating irrigator to reduce congestion of the nose and throat. Clinical studies have reported that the pulsating irrigation works 100 times better than the non-pulsating irrigators. The pulse also helps to relieve sinus pressure and pain. This product offers a natural and drug-free remedy that is small enough to travel with. Individuals with allergies can also be affected by the allergens lurking indoors, especially when spending a great deal of time indoors during the winter months. Because doors and windows are sealed shut as to not let cold air in, it can create poor air circulation, allowing indoor allergens to linger and cause allergy symptoms in those allergic. Dust mites are the main culprit of indoor allergens. They are tiny, microscopic insects that feed on the dead skin cells of humans and animals, and hide within carpeting, furniture, and bedding. They prefer to live in habitats that are warm and humid, which makes a person’s bed the ideal environment. Individuals are allergic to dust mites because of a certain protein in their waste. 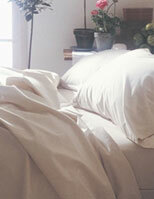 To prevent dust mites from inhabiting bedding, sheets, pillow cases, comforters, etc. must be washed often in hot water. Individuals can also get allergy free bedding that is woven extremely tight to lock out dust mites and bed bugs. Allergy Asthma Technology’s Allergy Free Bedding comes in a variety of bedding products that effectively prevent dust mites and bed bugs from entering while offering comfort and warmth during the coldest months of the year. Allergy season may be harmful to asthma sufferers, but the wintertime can sometimes be more dangerous. While indoor allergens may also affect asthma sufferers, they are better off remaining indoors during extremely cold temperatures. Simply breathing in the cold, outside air could trigger an attack. 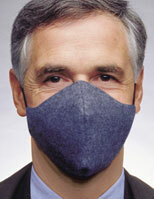 Asthmatic individuals should wear the proper protection, such as a Cold Weather Allergy Mask, before heading outdoors. The cold weather mask is lightweight and made of artic fleece thats warms the air before it is inhaled, preventing an attack. Those with asthma should also use their inhaler or take medication before stepping outdoors in efforts to prevent an attack. Handheld Portable Nebulizers allow individuals to have an inhaler on them at all times in the event of an attack.Taking extra precautions during the coldest months of the year will enable asthma and allergy sufferers to live healthier lives.